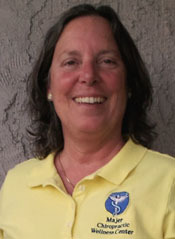 Gina has been an active team member since 2010. She is always ready to greet you with a warm smile and assist you in the office. Gina was a patient prior to working for us. Chiropractic helped her through her conditions and she wanted to help others with chiropractic by assisting at our office. She has a love for the outdoors and animals. 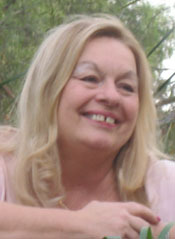 Margaret was educated through the Fullerton College Massage Program and subsequently became one of California’s first Certified Massage Therapists (CMT 1048). Margaret’s education included Swedish Essential and Sports massage, Craniosacral, Myofascial, Deep Tissue, Reflexology, Tui Na, Ampuku Psoas Release, and Lymphatic Performance, as well as Aromatherapy, Hot Shells, and Friction Bath and Wraps. Integrating these forms, she creates a strategy to bring the system back to a state where the body can do its best work. Guiding the client to healthy practices and recreating the body’s optimum potential, Margaret encourages the flow of energy to tissues. A background in family law, two grown children and six grandchildren, Margaret has a deep understanding of the challenges facing today’s society. Converting emotion, tension and stress to a peaceful place, she works with clients to create a healing space. The power of the massage, the impact of the knowledge and the healing touch set her apart from other massage therapists.